Master the business world. Our full-time master of business administration ranks in the top 10 percent for MBA programs with fewer than 50 students in U.S. News & World Report 2017’s Best Graduate School rankings. And our small size makes a big difference. You’ll work closely with your cohort over 10 months to build the communication and leadership skills that will propel your business career—and because it’s a fast program, you’ll get to work sooner. As an alumnus of the MBA program, you will be part of a group that is very connected to NAU and each other. 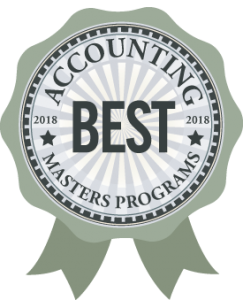 FCB’s graduate program in accountancy is ranked as the best master’s degree program in accounting in the state of Arizona by AccountingEDU.org. AccountingEDU selects schools based on rates of those who pass the CPA exam the first time. FCB’s 10-month Master of Business Administration in Accounting program features a small cohort learning environment paired with dedicated faculty that feature plenty of opportunities for one-on-one engagement. Northern Arizona University and The W.A. Franke College of Business MBA program has been named to the coveted Military Friendly Schools® list for the fourth time. In addition, we’ve been recognized as a Best for Vets school by Military Times for the third year in a row. The Franke Veterans Student Center has more information. MBA applications are accepted on a rolling basis. Students apply for the summer term of their intended academic year. The application for Summer 2019 is open now. Find the full list of MBA Application Materials here. Have more questions about the MBA program? Check our FAQs! Did you know that the NAU application fee for the MBA program is waived for all Returned Peace Corps Volunteers? That is not all, RPCVs admitted to the MBA program receive a Graduate Assistantship position to assist with funding the program. Learn more about our strong partnership with the Paul Coverdell Fellows Program. Get get in touch with the Business Graduate Programs to begin a conversation and receive the application fee waiver at fcb-gradprog@nau.edu.